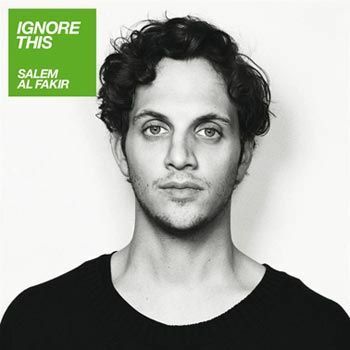 Salem will be playing live at Norrköping Stadsmuseet on 26 July. Courtesy of H3FK's MySpace (www.myspace.com/H3FK), here is a list of the band's upcoming gigs this autumn. As part of the Stockholm Culture Festival in August, Salem will be taking over Brunkebergstorg for one night only on 12.08.08 - but he won't be playing live. Instead he will choose the guests who will present an evening's entertainment! We don't have any information yet about who will be performing, but it should be very interesting. Two days have passed since Salem played at Liseberg and I have just been catching up with everything that was written about that show. 2) Three cheers for all the bloggers who wrote about the show, mainly positive reviews. I found one blog which commented that the audience was not very responsive. I wasn't really happy to read that as Salem and his band do such a great live show that even non-fans should have been won over! And if they weren't fans then what were they doing there anyway? 3) Videos: I see that a couple of phone-videos have been uploaded to you-know-where: a brilliant "Dream Girl"/"It's True" which still sound good and fresh even after all this time, and someone has also uploaded a very brief clip of a new song - which sounds rather fabulous, how can I describe it...I'd say it's maybe in a similar vein to "Good Song". Yes, that good. Hurry up with the new album, Salem.....I think it's going to be fantastic! Believe it or not, the whole not-being-in-Gothenburg thing must have been on my mind as last night, I even had a dream that I was in Gothenburg and I got to meet Salem and his band! 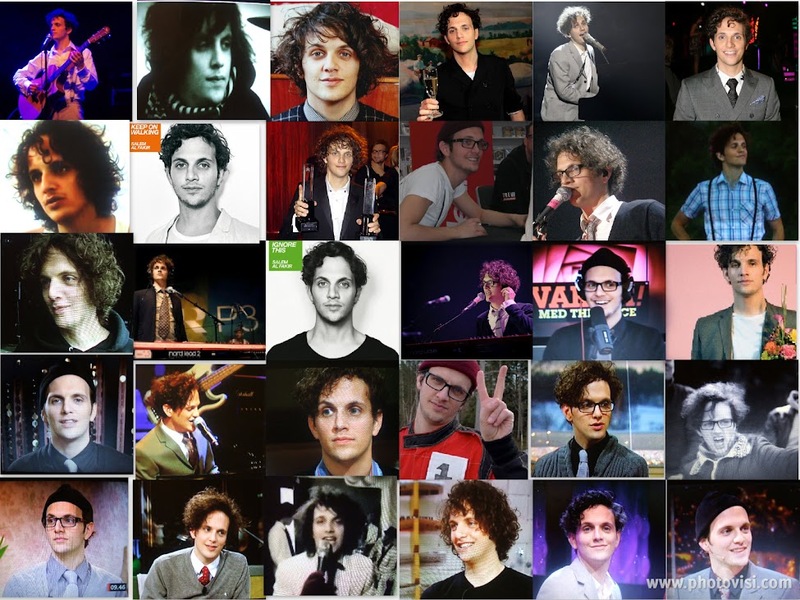 A very nice happy dream, but unfortunately it was only a dream!! 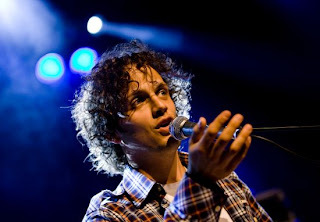 Just realised that Liseberg was his first Swedish gig since Christmas 2007! Anyway I hope the gig tonight went well and will try to round up some reviews on here over the weekend if I find any. I've just visited another blog which has published a picture from tonight. Big stage, new backdrop (the stripey one is gone) with Salem's name in big letters. Salem had his full band on stage with him and he was wearing a black t-shirt and pale blue jeans. Will post more information when I get it. Very excited already! ... I would have been travelling to Gothenburg this week to see Salem play at Stora Scenen in Liseberg this Thursday night, a real dream come true. However, there are a couple of reasons why I can't be there, the main ones being that I've already been away on short breaks a couple of times this year and I couldn't make it this time. On the subject of live gigs, I notice that Tincan, whom I mentioned a few posts ago, will be playing at London's Notting Hill Arts Club on 27th June, so if you live in that area and you'd like to hear some cool Afro-beats then check them out. (And before you ask, I won't be able to go to this gig either as I live very far from London). Anyway, Salem ....when are you coming over to the UK to play live????!!!! Salem played his first Danish gig on Friday night at the Spot Festival in Aarhus. I found a couple of reviews on the internet which I thought I'd share here. At www.undertoner.dk the reviewer compared a Salem Al Fakir concert to a cake with whipped cream and strawberries!! (funny that, because that’s my favourite kind of cake), but the reviewer went on to say that there is also a lot of bite! 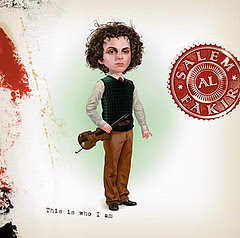 Anyway although the reviewer described Salem's music as cheesy, AOR-like softrock, they went on to say that even the hippest music fans must admit that the main reason to listen to music is melody, and there is no shortage of that in Salem's music. Over at www.gaffa.dk there’s another positive review (which gave 4 out of 6) and which described Salem’s seven song half-hour set (which concentrated on songs from "This Is Who I Am", just released in Denmark) as "pure retro" The reviewer namechecked all the usual 70s influences who are always mentioned when reviewers write about Salem! 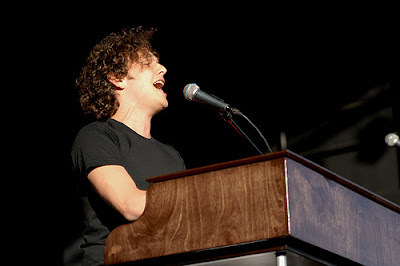 The reviewer stated that Salem had a rich voice and was a very capable keyboard player who charmed the crowd. This reviewer did feel that there was a lack of originality in his songs (? ), but they were melodic and full of hit potential. There was no time for an encore although the crowd wanted one. At the end, Salem said that this was his first gig in Denmark but he would like to come back again. I'm sure he will! Anyway, readers of this blog will be well aware that I haven't been too happy that Salem's been keeping his lovely big hair hidden away for the last few months. 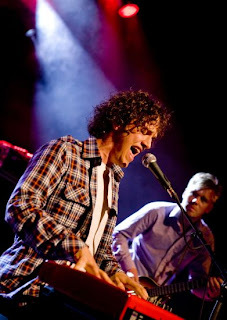 As you will see from the two pictures above (courtesy of www.gaffa.dk) from Friday night's gig: the hair is back! Hooray! Just a quick mention that Salem will be playing the Spotfestival in Aarhus, Denmark on Friday 6th June. He will be on stage at 7.00 pm. I notice that "This Is Who I Am" was released in Denmark last month. I've been reading a few of the reviews on the internet so far and all are positive, repeating and reflecting the reviews that the album received on its initial Swedish release in January 2007. 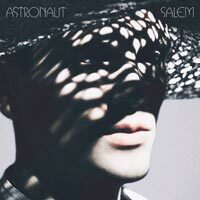 All of the Danish reviews also refer to the album's extreme musical diversity and Salem's extraordinary talent as a multi-instrumentalist, with the potential to become a massive star. Indeed! So Salem was special guest at the Rockkarusellen competition at the weekend. Someone's posted a couple of photos on Flickr, Salem is dressed in a black T-shirt and his (not too flattering) new headgear of choice. Oh well each to his own! !